Wylde Center is a community-supported organization with 25% of our annual operating budget coming from donations from community members. 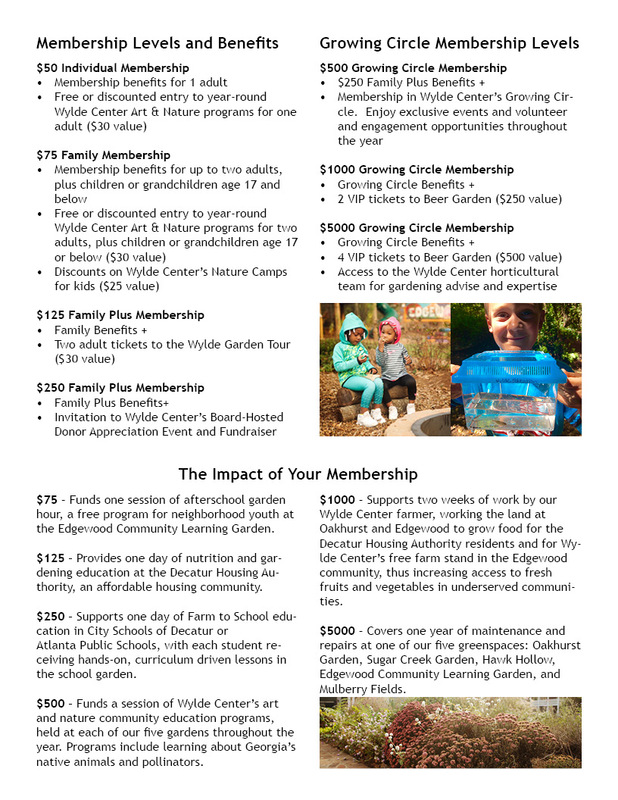 Your support allows Wylde Center to provide greenspaces, education, programs and events in the communities we serve. All memberships and donations are tax-deductible and may be paid in one lump sum or divided over the year. Join online or mail a check to Wylde Center 435 Oakview Road Decatur, GA 30030.